A few weeks ago, a Geekwire interview with outgoing Seattle Mayor Mike McGinn announced that the Gigabit Squared project there was in jeopardy. Gigabit Squared has had difficulty raising all the necessary capital for its project, building Fiber-to-the-Home to several neighborhoods in part by using City owned fiber to reduce the cost of building its trunk lines. There are a number of important lessons, none of them new, that we should take away from this disappointing news. This is the first of a series of posts on the subject. But first, some facts. Gigabit Squared is continuing to work on projects in Chicago and Gainsville, Florida. There has been a shake-up at the company among founders and it is not clear what it will do next. Gigabit Squared was not the only vendor responding to Seattle's RFP, just the highest profile one. Gigabit Squared hoped to raise some $20 million for its Seattle project (for which the website is still live). The original announcement suggested twelve neighborhoods with at least 50,000 households and businesses would be connected. The project is not officially dead, but few have high hopes for it given the change in mayor and many challenges thus far. The first lesson to draw from this is what we say repeatedly: the broadband market is seriously broken and there is no panacea to fix it. The big cable firms, while beating up on DSL, refuse to compete with each other. They are protected by a moat made up of advantages over potential competitors that includes vast economies of scale allowing them to pay less for advertising, content, and equipment; large existing networks already amortized; vast capacity for predatory pricing by cross-subsidizing from non-competitive areas; and much more. We're big fans of the firm's Video and High-Speed Internet businesses because both are either monopolies or duopolies in their respective markets. Additionally, different conduit and fiber segments may be owned by various entities, including different departments within a city. This may introduce administrative delays in leasing it, suggesting that local governments should devise a way of dealing with it before a network is actually being deployed. Even if a city wanted to lay conduit everywhere for the entire network (trunk and distribution), it would need to have a network design first. Different companies build different networks that require different layouts for fiber, huts, vaults, etc. Some networks may use far more fiber than other designs depending on the network architect preference. The result is a limit on just how much conduit can/should be deployed with the hope of enticing an independent ISP to build in the community. In deciding the size of conduit and where to lay it, different types of fiber network approaches are either enabled or disabled (e.g. GPON vs Active Ethernet). In turn, that can limit who is willing to build a fiber network in the community. The same can be true of aerial fiber, attached to utility poles. Investing in conduit and/or fiber along major corridors may go a long way to connect local businesses and some residents but almost certainly will not change the calculations for whether another company can suddenly compete against a massive firm like Comcast. And paradoxically, beginning to connect some businesses with fiber and a private partner could make a citywide system less feasible. The firms that are prepared to meet the needs of local businesses may not have the capacity nor inclination to connect everyone. But without the high margin business customers among neighborhoods, a firm that wants to connect neighbors may struggle to build a successful business plan. Additionally, some firms may only be interested in serving high end neighborhoods rather than low income areas. This is a major consideration in our continued advocacy for community owned networks. They have an interest in connecting businesses as the first step in connecting the entire community. An independent ISP may only find it profitable to focus on the businesses, though some ISPs share our values of ensuring everyone has access. In the first Geekwire interview, Mayor McGinn returned to his original position when campaigning - that the City itself should be playing a larger role and investing its own resources rather than pinning its hopes on distant firms. McGinn noted that “we haven’t given up on the private sector,” but said that if he were continuing as mayor, he’d start garnering political support to build a municipal fiber utility. That’s actually something the mayor considered back in 2010, after a consultant recommended that the City find a way to build an open-access fiber-to-the-premises communication infrastructure to meet Seattle's goals and objectives. A feasibility study looking at one particular way of building an open access fiber network put the cost at $700-$800 million. However, there were other alternatives that they did not pursue, opting instead for a far less risky (and with far less payoff) public-private-partnership with Gigabit Squared. 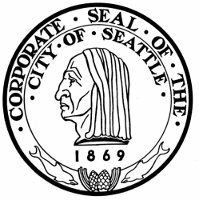 Update: The Gigabit Squared deal with Seattle is officially dead. Part II of this series is available here.